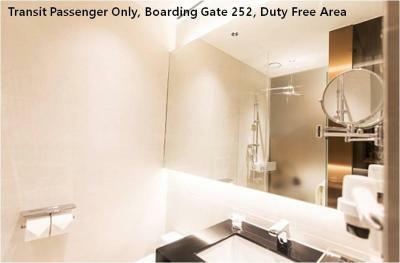 Lock in a great price for Incheon Airport Transit Hotel Terminal 2 – rated 8.4 by recent guests! Convenience, great staff, cleanliness and perfect location for a short transit stay!!! I will definitely return anytime I have a transit stop there! After a 14-hour long-haul flight, my wife and I look forward to staying in the Transit Hotel. It was immaculate, extremely clean, very quiet, and the staff extremely friendly. Check-in was very easy, convenient, and fast. Incheon Terminal 2 is a marvelous beauty and we enjoyed exploring it during our transit. We will stay again. 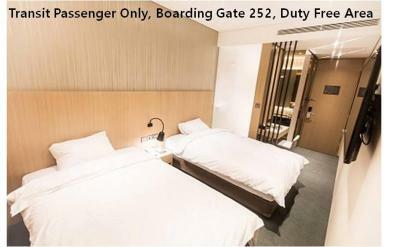 If you consider staying here, please understand that this accommodation is a place for exhausted passengers to have a clean, quiet, isolated place to sleep, shower, and have a personal restroom/shower. The rooms are only as big as needed for these specific reasons and are perfectly sized for these purposes. Thank you, thank you Incheon Terminal 2 Transit Hotel for a wonderful stay! Very clean, staff professional and efficient. Convenient location. More than adequate facilities. very nice and clean, also surprisingly quiet given that it is in the airport terminal right by the departure gates. Nice large bed, room and bathroom spotless, QUIET! The best part--When I woke up I was able to head to my airplane gate and since this is a transit hotel and already behind security - no fuss! Provided room to sleep in during long layover & get out of the airport terminal. 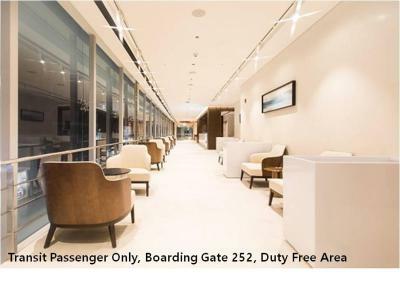 Terminal 2 has very new, clean, and convenient transit hotel facilities. The room is comfortable and extremely convenient. I had an overnight layover in January. The Hotel is great for that purpose. Definitely an upgrade over the old Walkerhill hotel at T1. 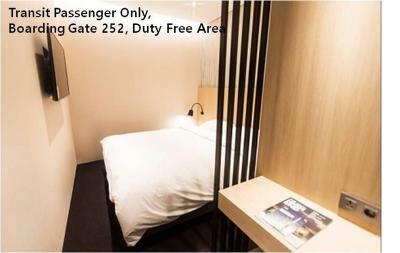 It convenient for travelers passing through Seoul, easy to book, quiet and basic yet modern and comfortable accommodation. It's got everything you need. One of our best sellers in Incheon! 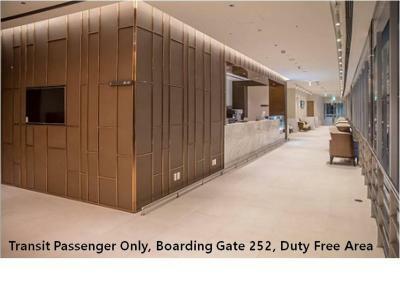 Incheon Airport Transit Hotel Terminal 2 is located above gate 252 in terminal 2 of Incheon International Airport. The terminal is restricted to passengers using Korean Air, KLM, Air France and Delta Air. The hotel provides a 24-hour front desk services and free WiFi. Each room is fitted with a flat-screen TV and a private bathroom with a rain shower and a hairdryer. All rooms also feature a universal adapter. To reach the hotel, please follow the transit arrow to boarding gate 252 on level 3, and take an escalator to level 4. Jung-gu is a great choice for travelers interested in convenient public transportation, budget-friendly traveling and friendly locals. This property also has one of the top-rated locations in Incheon! Guests are happier about it compared to other properties in the area. 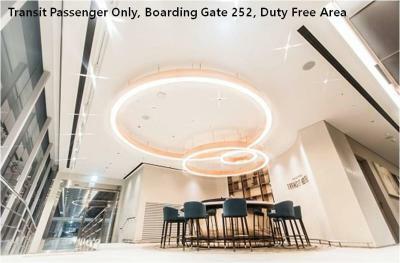 When would you like to stay at Incheon Airport Transit Hotel Terminal 2? This single room features an air conditioner, a telephone, a TV, a desk and free toiletries. This double room features an air conditioner, a telephone, a TV, a desk and free toiletries. This twin room features an air conditioner, a telephone, a TV, a desk and free toiletries. Hotel surroundings – This neighborhood is a great choice for travelers interested in convenient public transportation, budget-friendly traveling and friendly locals – Check location Excellent location – show map Guests loved walking around the neighborhood! 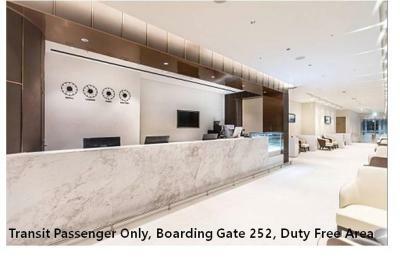 House Rules Incheon Airport Transit Hotel Terminal 2 takes special requests – add in the next step! Incheon Airport Transit Hotel Terminal 2 accepts these cards and reserves the right to temporarily hold an amount prior to arrival. This hotel is available only for international transit passengers departing from Terminal 2. Please check with the airline if luggage will be transferred to the final destination or not. Guests cannot stay in the hotel once they pass the immigration in order to claim their luggage. I like location, I did not leave airport at night time. Quite nice and convenient! Will come again! I cannot think of any thing I didn’t like. Very convenient. Very quiet and accommodating. There was nothing to dislike for us. A 100% hit! This is my second visit where I have been disturbed by noise. Not a lot of noise, but noise never the less. Noise such as hearing radio in another room, children doing children things in another room and staff cleaning carpets and such. Not awful, but enough to wake one up. Pillows were horrible, and sink faucet wrong kind. A little tight on space but OK for a short time. Had a 1 hour stop over at Incheon on way back to Heathrow from Sydney. Incheon Transit Hotel was ideally situated next to the KAL Prestige lounge. Really good facility, clean, comfortable and the staff were very polite. I'd happily stay there again. The front desk worker was not friendly. The room is small but the bed is comfy.